The Bridge 2017. Michael Schaffer-Capitol Sunset Photography. NEW YORK, NY.- The Bridge announced the second edition of a new, invitation-only open air art fair, September Art Fair at The Bridge, that coincides with its rare and vintage car show this September. Twelve internationally renowned galleries will participate this year, doubling the size of the inaugural edition. The event will take place at the exclusive golf club on the site of the historic Bridgehampton Race Circuit. The Bridge, the invitation-only car show, will take place on September 15 only, and September Art Fair at The Bridge will continue through the weekend on September 16. The art fair is organized by Suzanne Butler (CANADA), Max Levai and Pascal Spengemann (Marlborough Contemporary) and designed by artist Lars Fisk. The participating galleries in 2018 are 303 Gallery, CANADA, Andrew Edlin Gallery, Karma, Johann König Gallery, Andrew Kreps Gallery, Marlborough Contemporary, Morán Morán, Vito Schnabel, Sies + Höke, Reyes Projects and David Zwirner Gallery. The galleries will occupy twelve specially conceived double-wide shipping containers, each measuring approximately 320 square feet, designed by Lars Fisk. They will be erected in the dunes near the golf courses 18th tee, engaging the surrounding landscape with the addition of outdoor sculpture and music. Fisk, a cunning sculptor (New York Times), has long embraced small, modular architecture, creating a dynamic, vibrant setting for guests to explore. The Bridge clubhouse has a well-established relationship with contemporary art. It features work by Ed Ruscha, Andy Warhol, Eric Fischl, Steven Parrino, Jonah Freeman and Justin Lowe, and Richard Prince among others. We had no need to create an art fair that felt like all the others. Thats why we created something that feels more like an outdoor weekend experience with an intimate atmosphere. 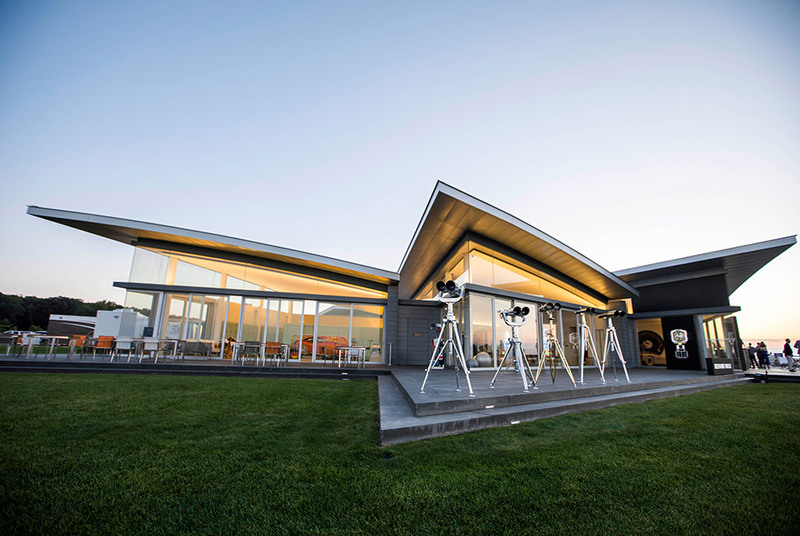 After the first edition of The Bridge, weve seen that this new concept works really well, and were excited about this years iteration bringing fresh and new things to this incredible place in the Hamptons. We want to give the September Art Fair at The Bridge a distinctive identity because its a unique event made by gallerists for gallerists and their clients, commented co-founder Max Levai.